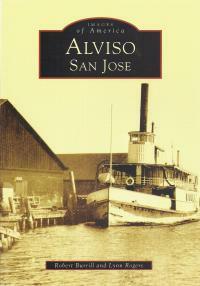 Robert Burrill and Lynn Rogers combine their historical knowledge to tell the tale of a once thriving port town called Alviso. Nestled in the southern most point of the San Francisco bay, Alviso began life in the 1700s as a landing for Mission Santa Clara, then it turned into a shipping port, then to a train depot. Now Alviso sits quietly beside a great wildlife preserve.